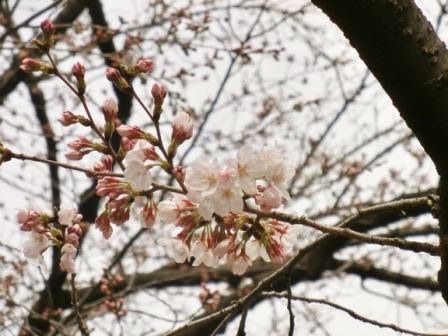 Sakura started to open on 25 March! 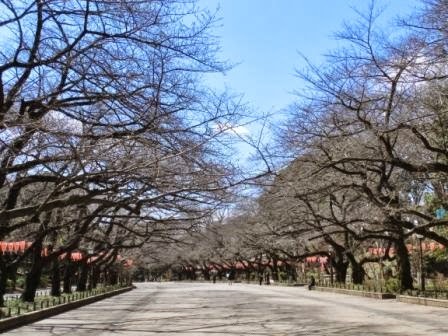 See Imperial Palace, a lot of photos and some cultural talk? 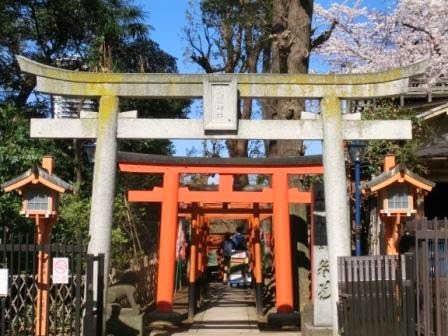 Want to know how to get to Ueno? Photos Updated on 26 Mar! 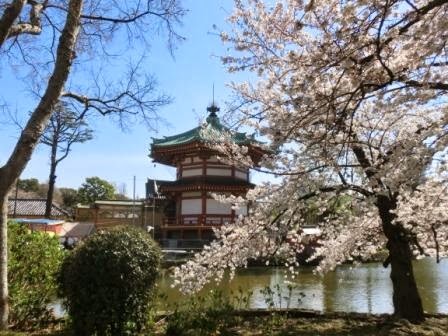 Shinjuku Gyoen National Garden and Asakusa posts have many flourishing photos. The best day is forecast to be 4th 2nd April 31 March by Weather Map. 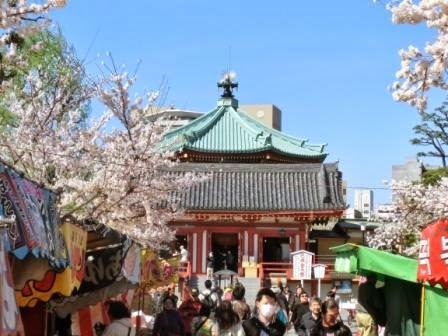 Ueno is one of the best sakura views in Tokyo. 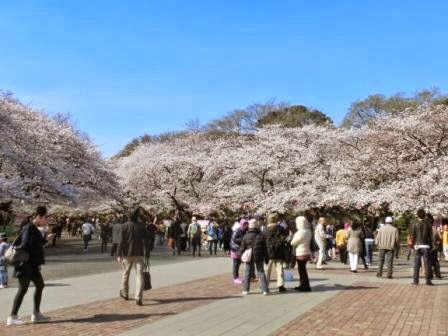 There are 1200 cherry trees in the large park with famous museums and Ueno Zoo. 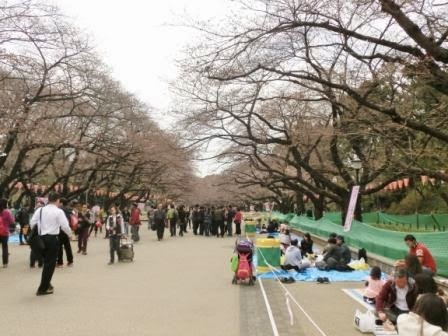 This is how Ueno Park looks like on 10 March. 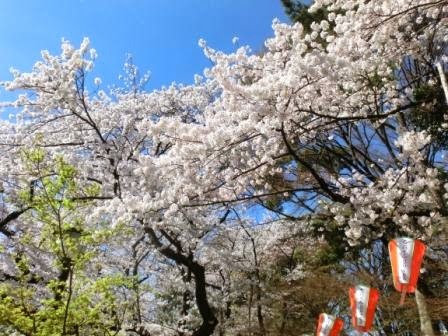 All the trees are sakura. 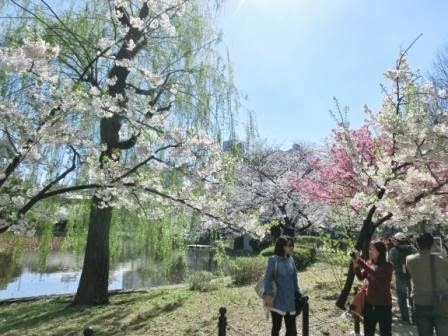 When they flourish, the park is all pale pink with warm weather in spring. The red lanterns have been prepared. 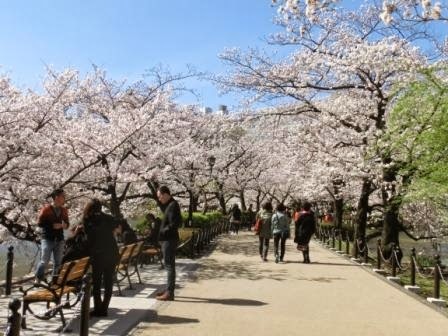 One more announcement is that Spring Peony Garden at Toshogu Shrine is 12 April – 11 May. 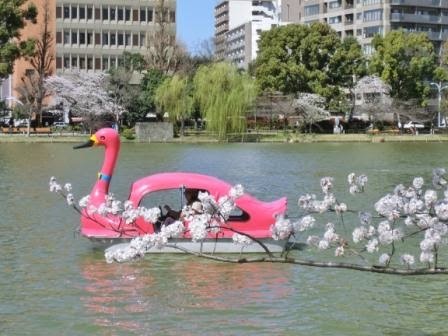 I believe its Spring version will attract you, too! The forecast changed. 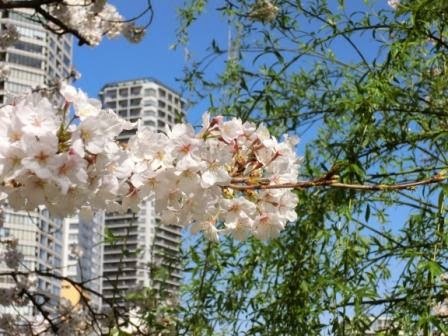 The best day in Tokyo will be 2nd April. I saw many international tourists in the park. Oh… Do you stay a few days onward? Some “false start” kinds of trees became stars. 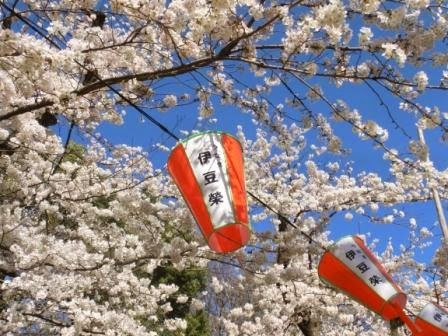 Tip: People on sheets are preparing for “Sakura Viewing Party.” For those who want to view sakura quietly, being too noisy, drinking too much and throwing away rubbish are prohibited. Good manners! And the red lanterns light until 8 p.m. 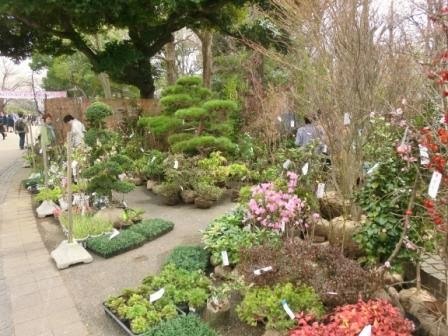 Some potted plants were sold in the park. 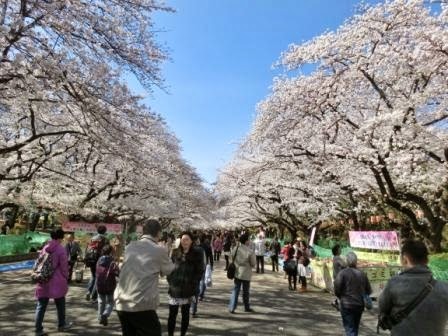 It is part of Sakura Festival. The Entrance of Ueno Zoo is over there. And a “star” was here as well. This weekend will be great here. 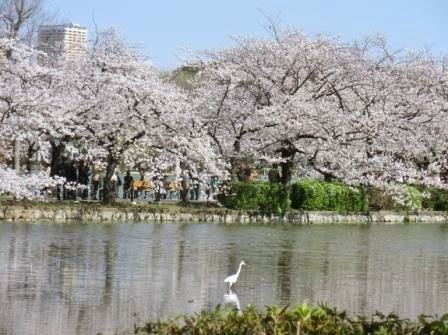 Hopefully I’ll visit Ueno Park, Imperial Palace and some other Japanese parks. It cannot be more beautiful a day!! I’m writing some tips, but I rather want you to enjoy photos today. 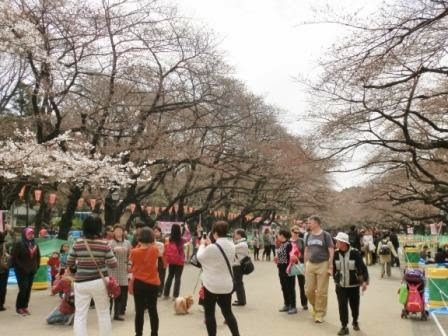 Tip: Ueno Park gets crowded gradually. So it’s a good idea to go there as early as possible. 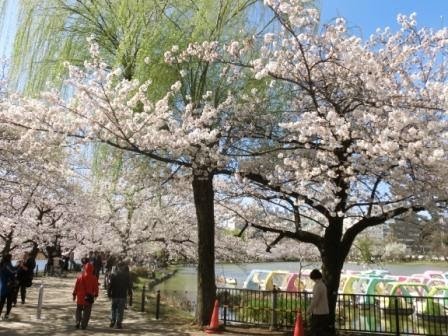 A lot of cherry trees are along the path. It was windy. 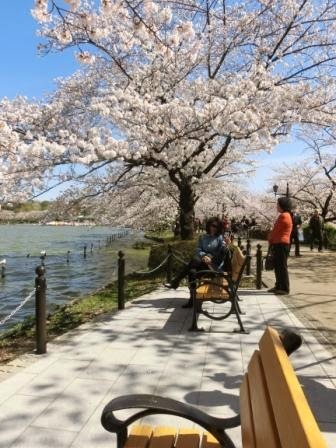 It is typical in some days in spring. Tip: The red lanterns light until 8 p.m. 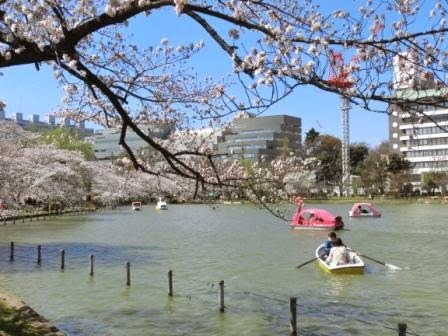 Tip: I especially recommend the path around Shinobazu Pond. You’ll see how breathtaking it is on the photos. 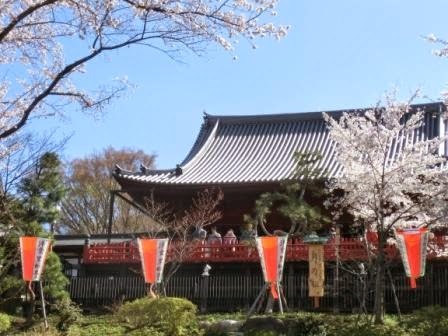 You just go along the street and turn right to the Boat Center and Bentendo, the Temple’s hall in the middle of the pond. Tip: There are some people in masks in this season. 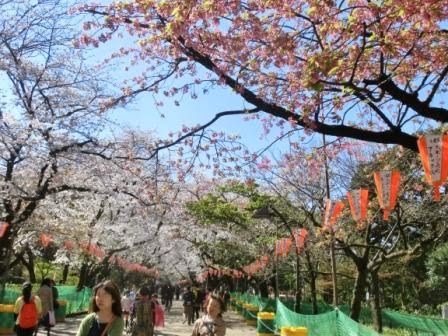 It is because some trees spread out pollen to the air and it makes us sneeze… It is not because they are too careful of viruses. 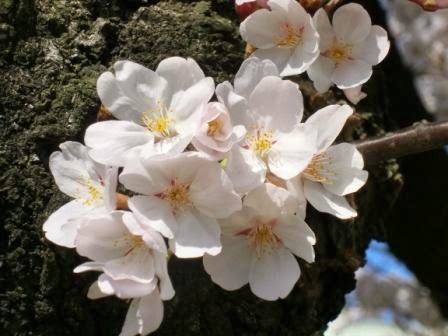 Just in case you sneeze a lot and have a runny nose, perhaps it is pollen allergy, not flu. 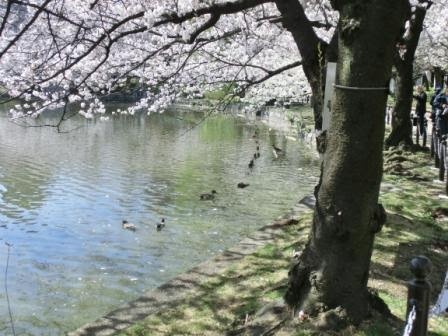 You can go close to cherry blossoms on the pond. It is wonderful that there are benches. So romantic. 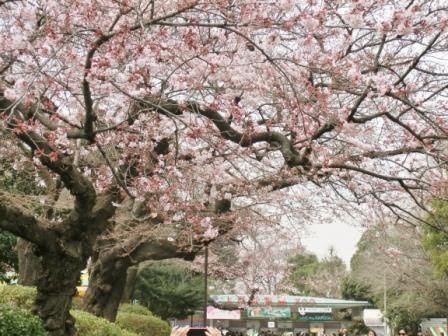 Going to see Ri Ri and Shin Shin the giant pandas and other animals in Ueno Zoo is a good idea, too. 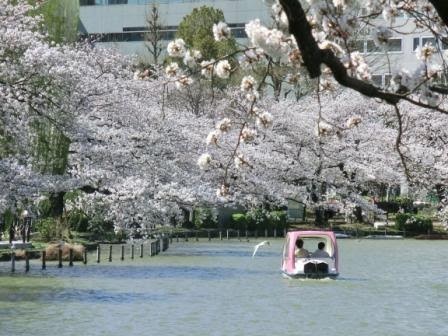 Tip: In sakura season, the zoo and museums are open on Monday. 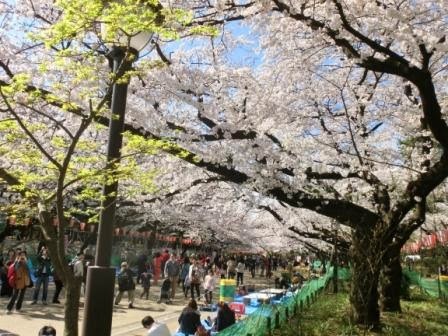 You missed full-blooming sakura? Don’t be disappointed. 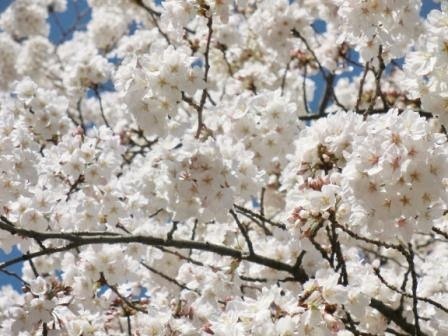 Cherry blossoms and Japanese spring has not ended!